One of the most fashionable ways of bringing lots of positivity into your life is by adorning yourself with crystal jewellery. Crystals are considered to have the power to ward off evil from your life and also to heal you emotionally. 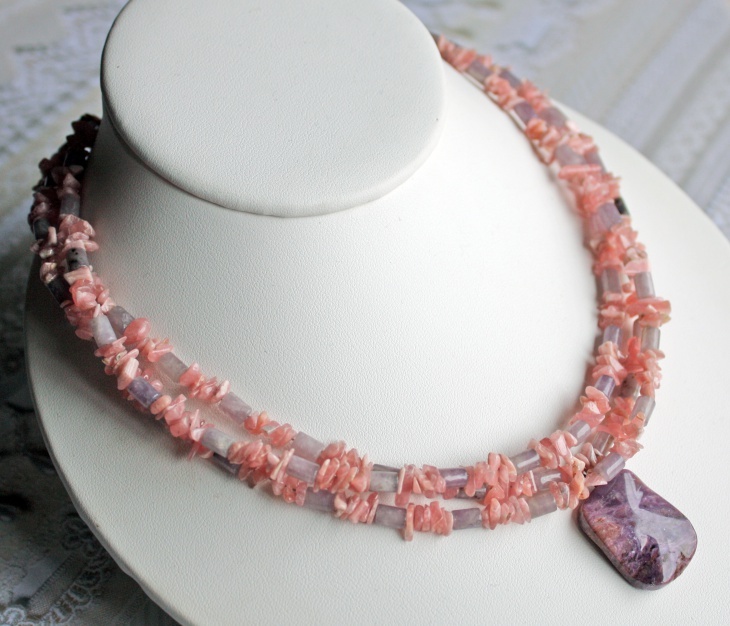 One such crystal is the Rhodonite, which usually comes in shades of pink. Topping the list is the Rhodonite pencil pendant, which looks extremely stylish due to its hexagonal shaped pendant and silver sterling bail. This will definitely stun everyone with its amazing looks. 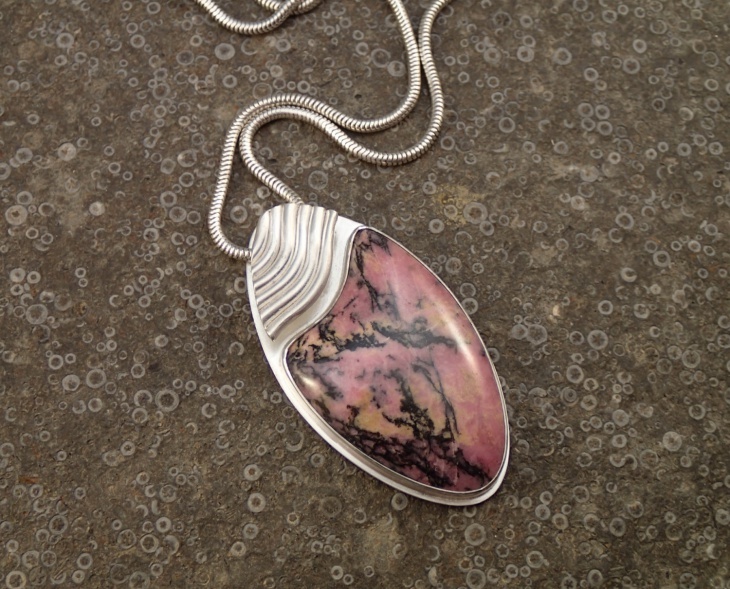 At the second spot is the Rhodonite oval shaped pendant. As the name suggests, the pendant is oval in shape and is embedded in a silver locket. This pendant is a perfect combination for casual wear. 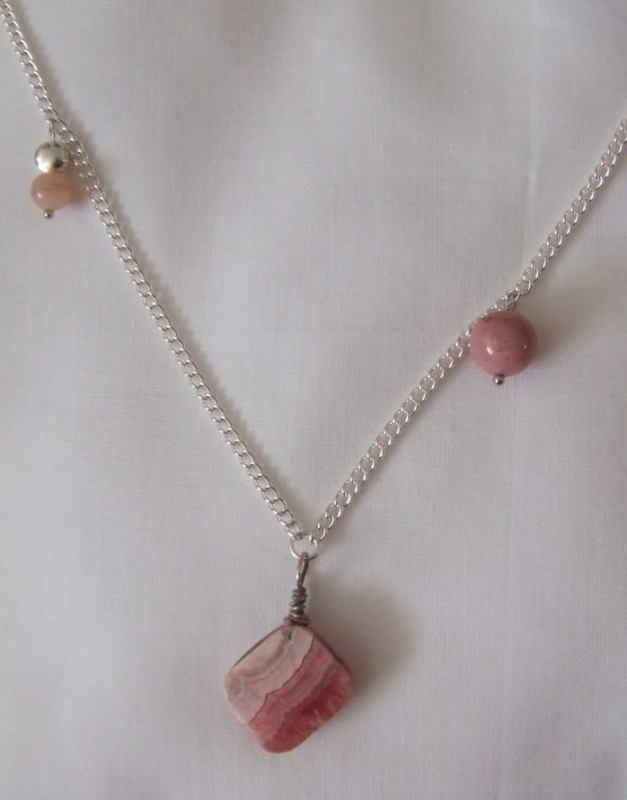 Next up is the Silver Rhodonite pendant chain. 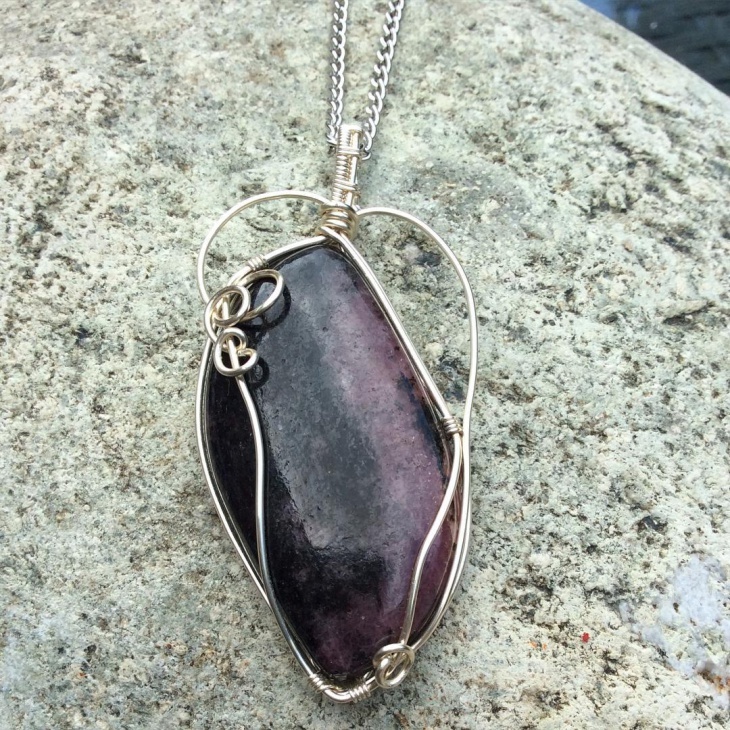 The chain in sterling silver enhances the beauty of this simple Rhodonite pendant. This is perfect for those who wish to look simple and stylish at the same time. 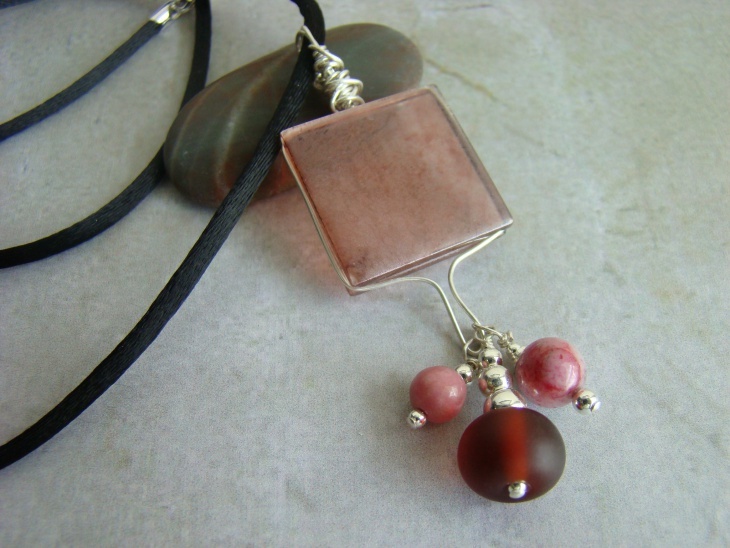 At the fourth spot is the Rectangle Rhodonite pendant design. This looks beautiful and mesmerising due to its outstanding design. 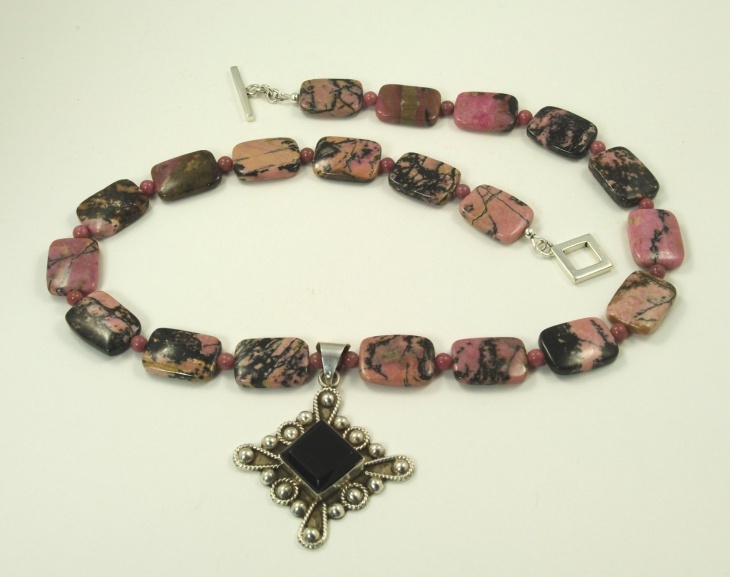 The entire chain is made with rectangle shaped black and pink Rhodonite beads, which makes it look trendy. The sterling silver onyx pendant adds to the beauty of the necklace. 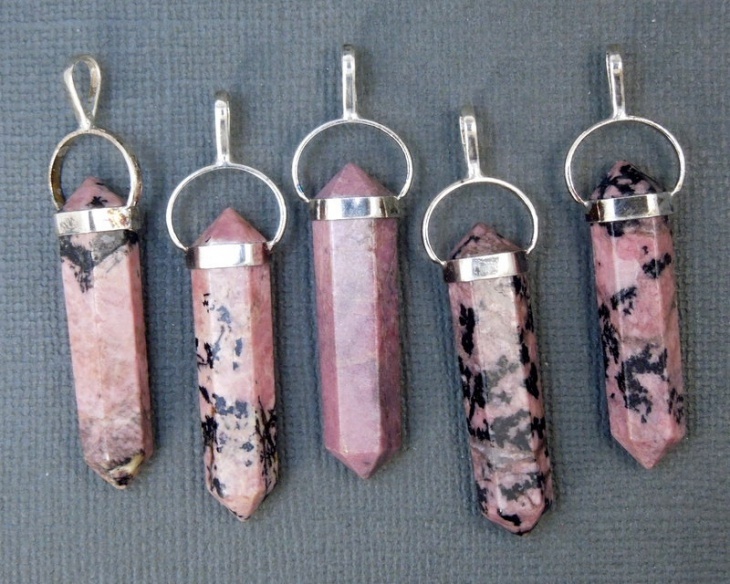 Coming up next is Gemstone Rhodonite pendant jewellery. This simple pendant is made to look stylish with the silver design on top of it and due to the wire which holds the pendant. The beauty of readymade items is definitely outdone by the beauty of handmade items. 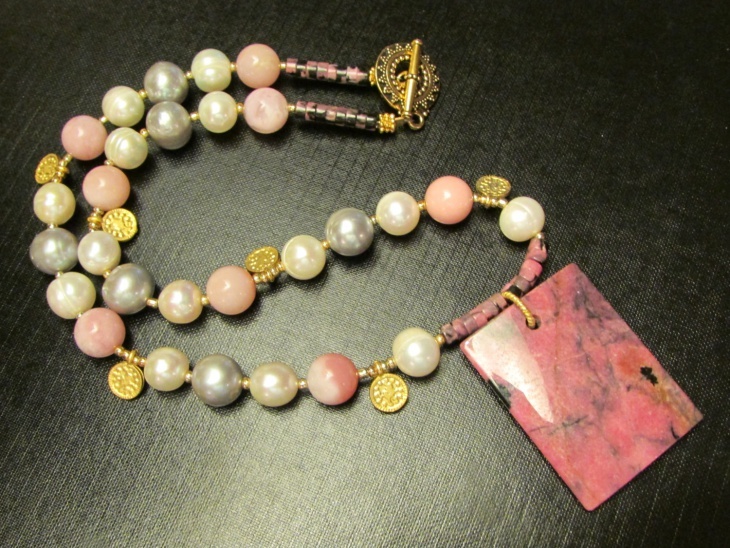 This beautiful handmade Rhodonite pendant necklace shows you why handmade items are so appealing. 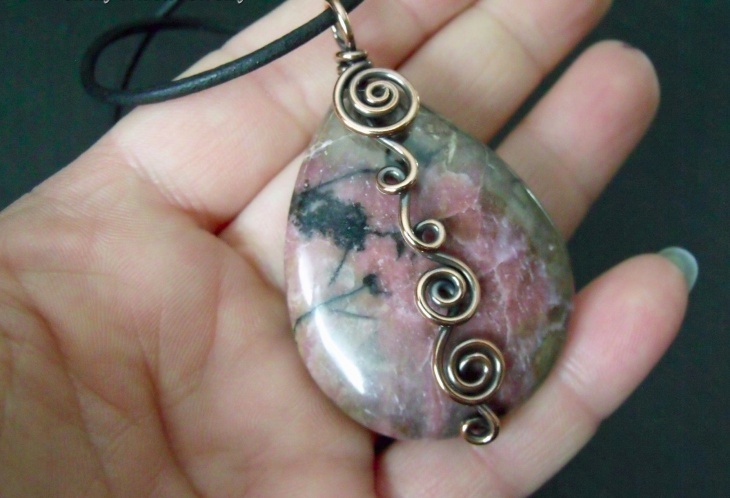 At the next spot is the crystal Rhodonite pendant design. 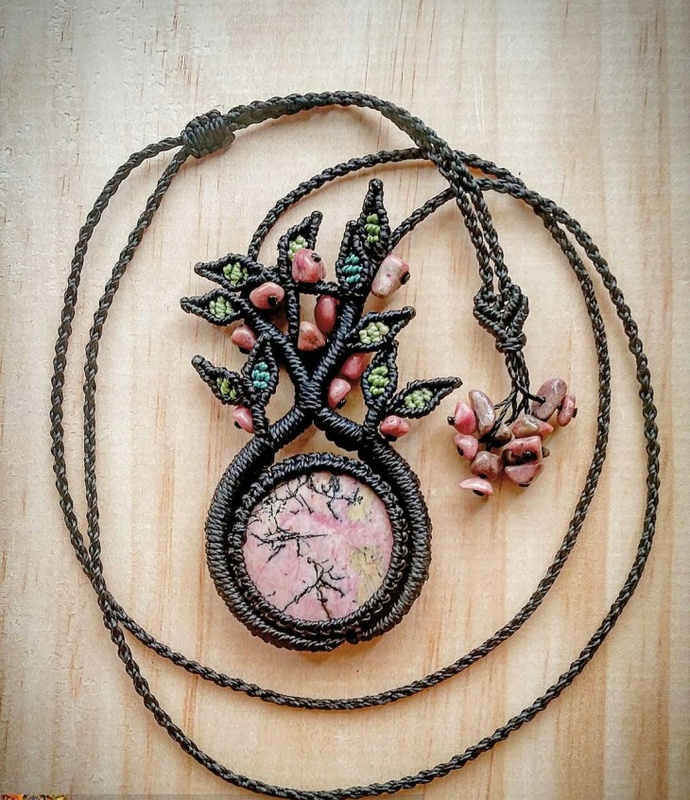 This beautiful Rhodonite crystal is embedded in a copper locket, which features silver leaves and vine. 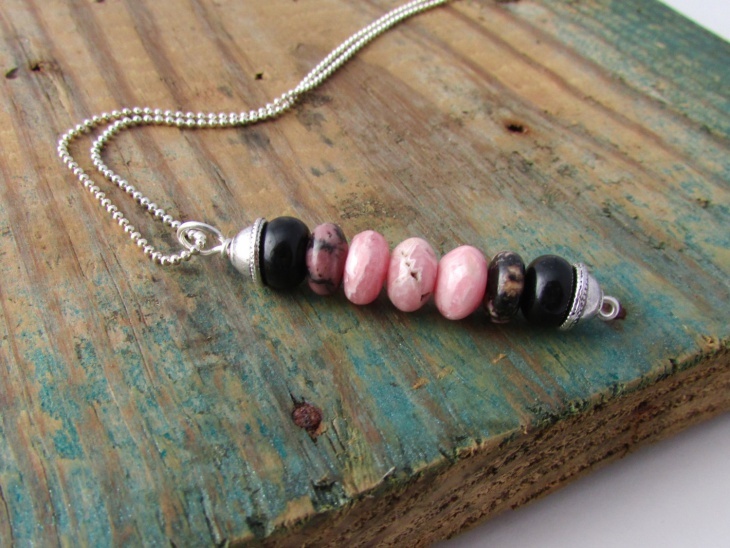 The pendant has a mixture of colours, such as pink, grey and black. 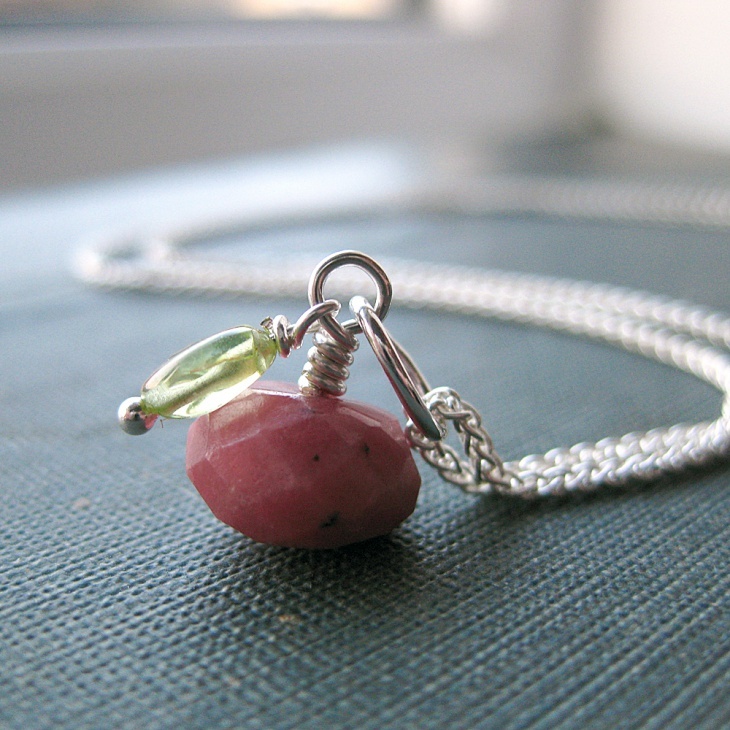 At the eighth spot is the large Rhodonite pendant chain. This necklace is extremely appealing due to its beauty and also because it can be adjusted to the length of your choice. 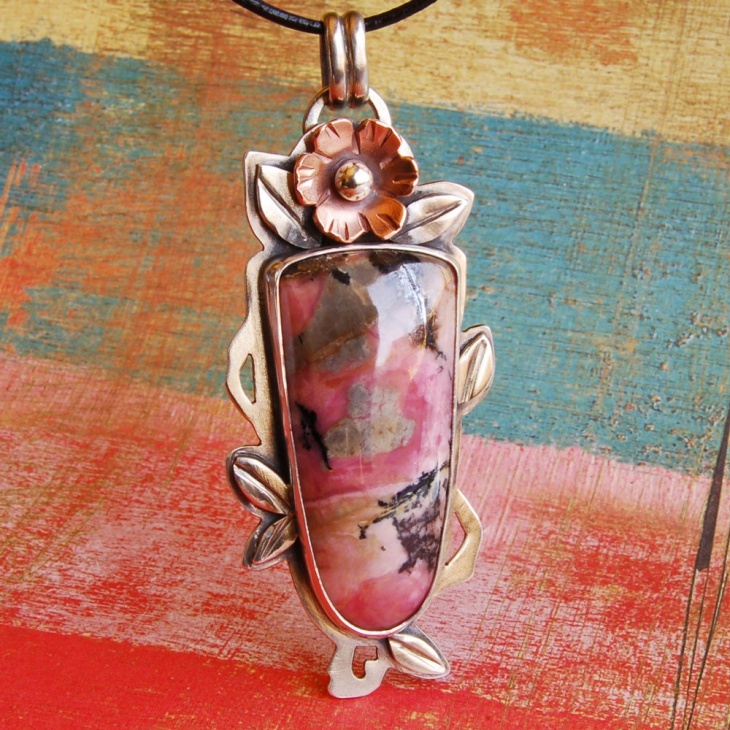 Next up is the floral Rhodonite pendant jewellery. 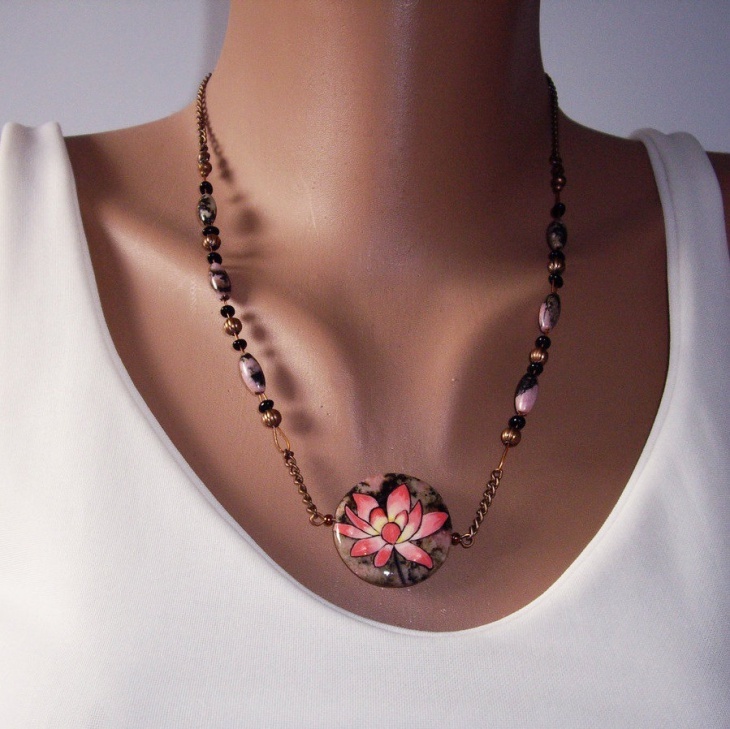 The chain is made with Rhodonite glass beads and the Rhodonite pendant features a colourful lotus, which is hand painted with acrylic colours. 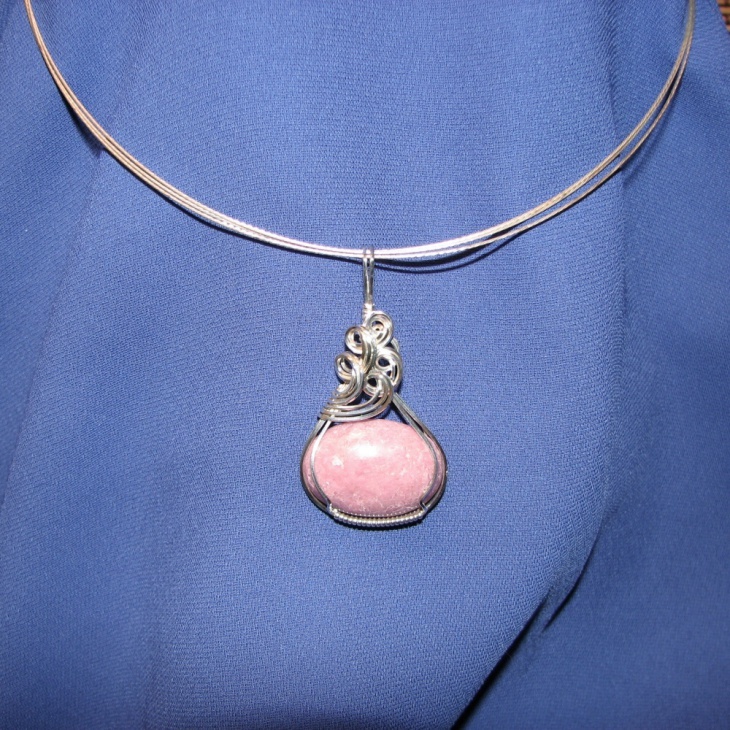 Last, but not the least, is the genuine Rhodonite eggs pendant. 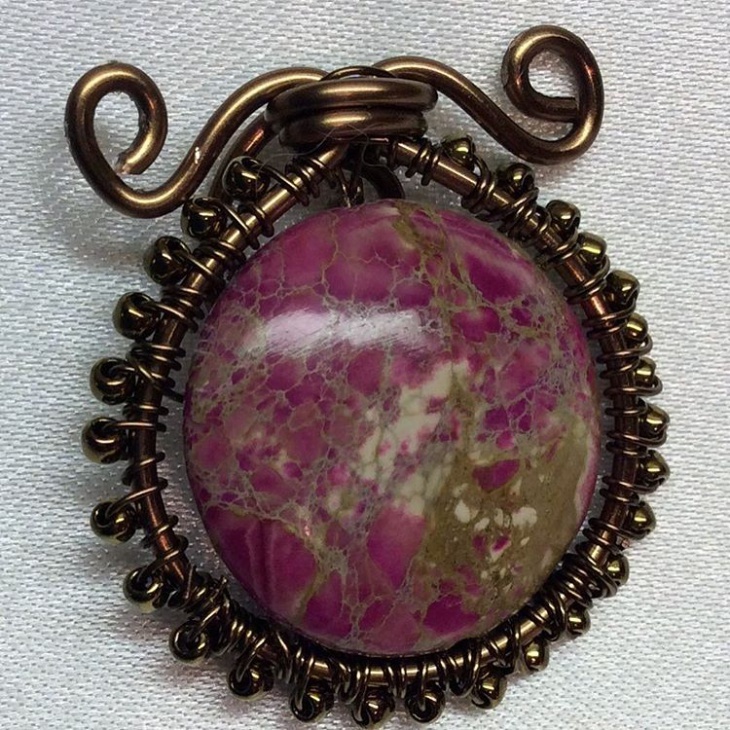 This looks extremely amazing as it features three small Rhodonite beads embedded in a nest shaped design made with wire. 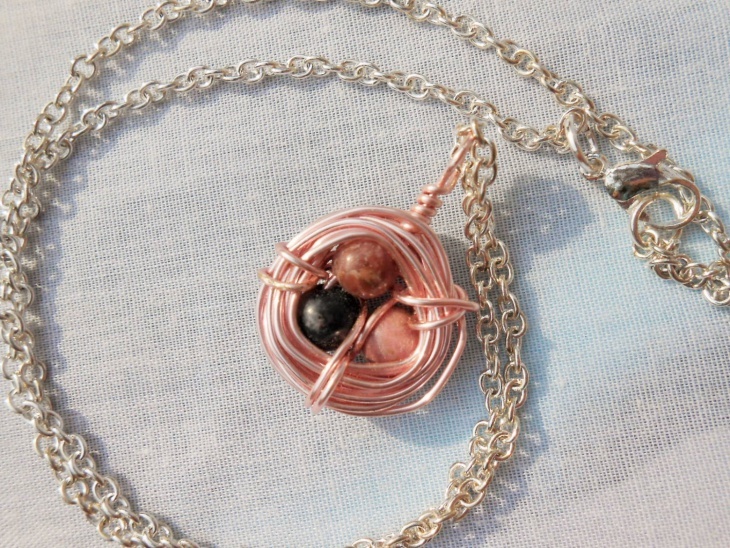 The entire pendant looks like three eggs in a nest. The crystal has derived its name from a Greek word, which means rose, which points to the pink colour of the stone. 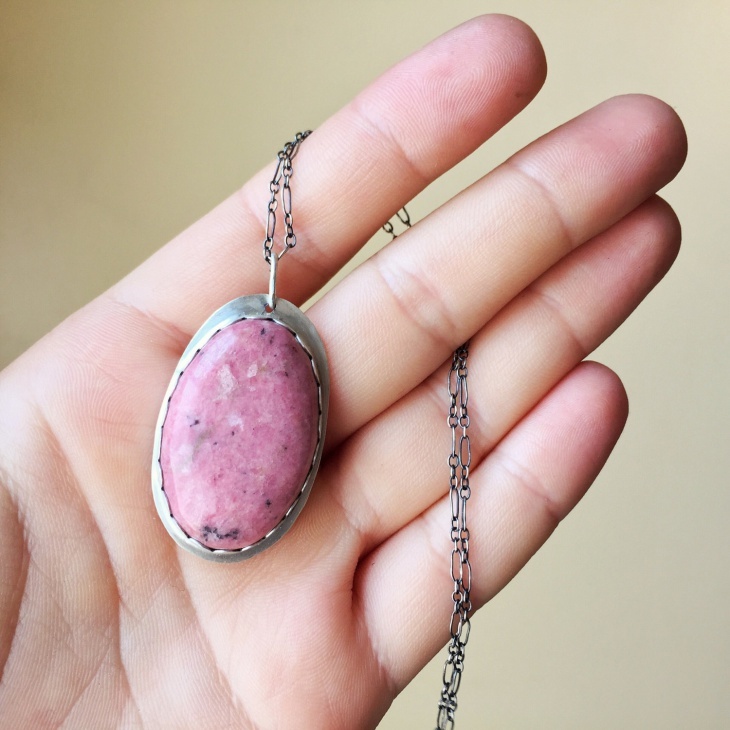 Besides being great for your well-being and for filling your life with optimism, the Rhodonite is also known as the stone of love as it helps in nurturing love and brotherhood. It also helps you to come face to face with your talents, which you were not even aware of. Some other out of the box pendant designs are the long pendant necklace designs and the sculptural jewellery designs, which are completely creative and contemporary. 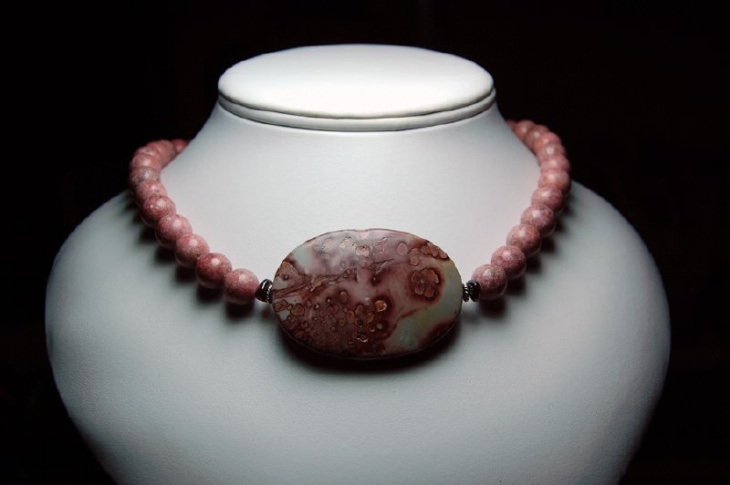 So, look beautiful and feel beautiful by adorning yourself with some amazing Rhodonite jewellery.